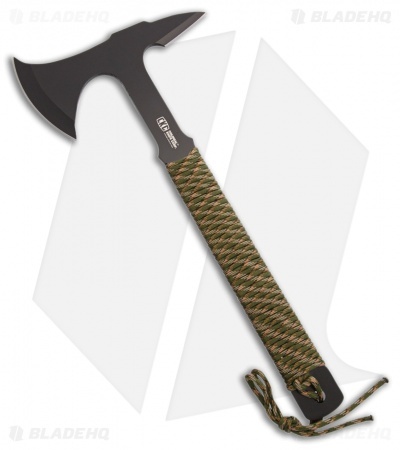 The Colonial Tactical Tomahawk offers a 14" overall length with a 7" axe head. It features a 3.75" cutting edge with a tactical spike. One-piece stainless construction offers a solid build with a durable black finish. A Woodland camo paracord wrapped handle and lanyard add a nice finishing touch to the design.